By Sunday morning, firefighters had recovered 100 bodies, many charred beyond recognition. Another 12 people injured after leaping from the building to escape the flames later died at hospital, Mahbub said. Scores more had to be treated for burns and smoke inhalation. By Sunday morning, firefighters had recovered 100 bodies, many charred beyond recognition. Although authorities are still unsure what started the fire, investigators suspect that a short circuit in the yarn-storage area on the ground floor was responsible. (Faulty wiring is the cause for over 80 percent of all factory fires in Bangladesh, according to the Clean Clothes Campaign.) Whatever the reason, the incident throws the country’s infamously poor fire safety record, along with the international brands who work with them, back in the spotlight. “These brands have known for years that many of the factories they choose to work with are death traps. Their failure to take action amounts to criminal negligence,” said Ineke Zeldenrust, international coordinator for the Clean Clothes Campaign, in a statement. 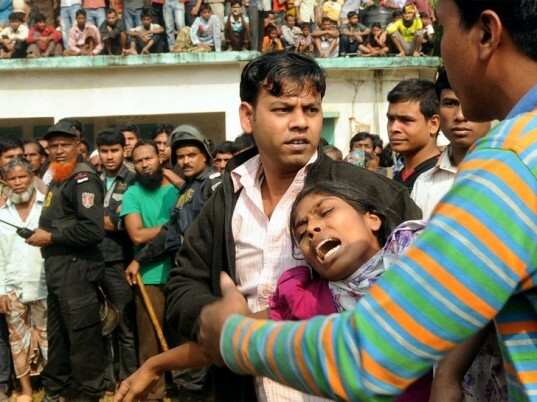 The labor advocacy group named C&A, Carrefour, KIK, and Walmart among Tazreen’s clients at the time of the accident. Walmart said that while Tazreen Fashions wasn’t one of its authorized vendors, a supplier continued to subcontract there anymore. In its 2012 Global Responsibility Report, Walmart said that “fire safety continues to be a key focus for brands and retailers sourcing from Bangladesh.” It also noted that it ended relationships with 49 factories in Bangladesh in 2011 because of fire-safety issues. Walmart said that while Tazreen Fashions wasn’t one of its authorized vendors, a supplier continued to subcontract there anymore. “The fact that this occurred is extremely troubling to us, and we will continue to work across the apparel industry to improve fire-safety education and training in Bangladesh,” the big-box retailer said in a statement. May this be used as a step towards improving conditions for all third world country labours, that support the developed world. At least 112 people were killed late Saturday when a fire tore through a multilevel garment factory outside Dhaka, Bangladesh, in the country's worst-ever industrial blaze. 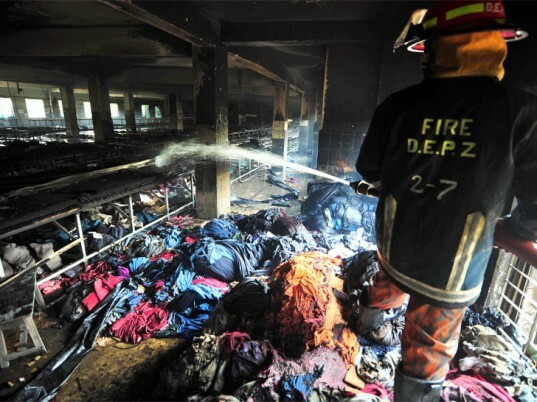 In a chilling parallel to a similar incident that claimed 300 lives in Pakistan in September, most of the victims were trapped inside Tazreen Fashions because few exits were available, according to fire officials. 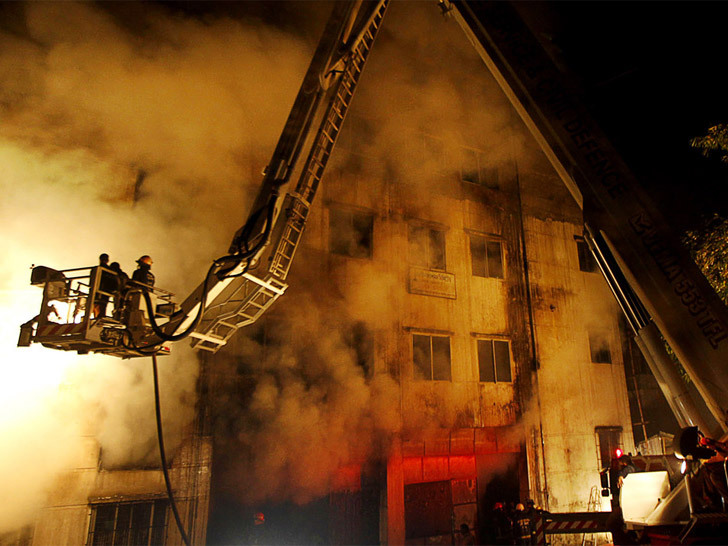 "The factory had three staircases, and all of them were down through the ground floor so the workers could not come out when the fire engulfed the building," Mohammad Mahbub, the operations director for fire department, told the Associated Press. "Had there been at least one emergency exit through outside the factory, the casualties would have been much lower."